The year 2019 marks 30 years since the fall of communism throughout Central and Eastern Europe, so those old days will be on my mind a lot as the year goes by. The anti-communist revolutions in all of the countries I normally write about -- Poland, Hungary, Czechoslovakia, East Germany, Romania and Bulgaria -- unfolded in very different ways. I plan to devote a post to each country and how it miraculously, suddenly found itself on the western side of the East-West divide during that historic year. This post, though, takes us a few years before 1989 to what initially fascinated me about the region and possibly even helped to sew the seeds of those revolutions (or at least helped to keep the countries firmly lodged in the Western imagination); namely, the amazing legacy of literature and film that spilled out of the Eastern bloc from the 1950s through the 1980s. Top Photo: The DVD cover for Andrzej Munk's unusual and controversial 1962 Holocaust drama, "Passenger." The film focuses not on Jewish victims but on the relationship between two women at Auschwitz: a Polish prisoner and her guard, who meet up by chance after the war. I screened this for my own students in Prague as a way of illustrating how the Holocaust was interpreted locally in the early years. The verdict: they hated it. Photo by Mark Baker (credit: Second Run DVD). Posted in Diversions, Tales From The Past and tagged Columbia, film, Kis, literature, Philp Roth. 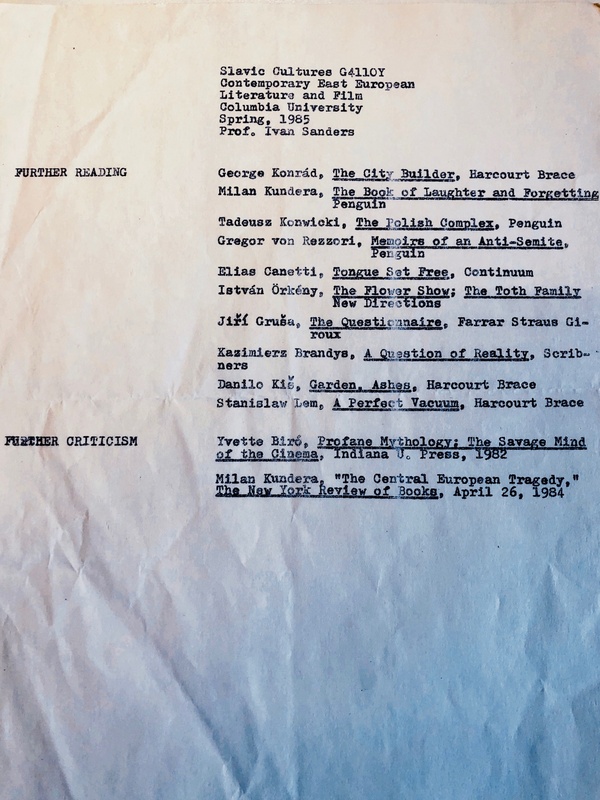 A scan of the front page of our course outline at Columbia University in the spring of 1985. Professor Sanders divided the course's time frame into five thematic headings. Many of the books and movies still hold up. Double-click to get a larger image. Photo by Mark Baker. The second page of Professor Sanders's course on Eastern European film showing "Further Reading." I see here where Elias Canetti and Stanislaw Lem, among others, were also on the reading list. Double-click to get a larger image. Photo by Mark Baker. 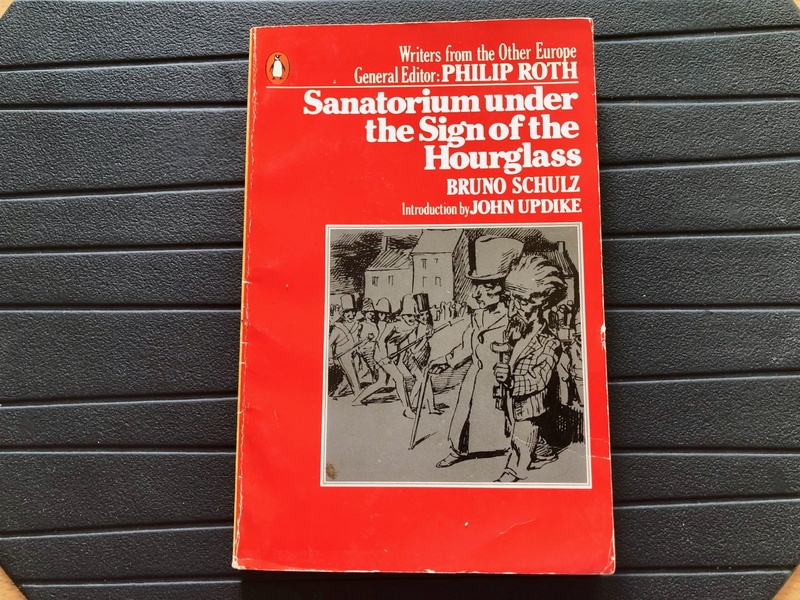 One of the most disturbing books ever written on the Holocaust, but not for its gruesome details, but for the way it describes the variously vacuous normal lives that went on in the midst of mass murder. Photo by Mark Baker. This is still my favorite book by Czech author Milan Kundera. The best bits include the short opening part on Clementis's cap and Part Two, a funny, strange short story called "Mother." Photo by Mark Baker. I seem to be a lifer when it comes to Central & Eastern Europe. At least that’s how it must seem to my family and friends back home in the United States. It’s hard for me to explain, sometimes, how a relatively obscure region in Europe can seem so fascinating -- at least interesting enough to plan a university degree, professional career and better part of a life around. Just maybe, though, it was an obscure course -- an elective -- on “Contemporary East European Fiction & Film” that I took at Columbia in the spring of 1985 that really sealed the deal for me in Eastern Europe -- and, looking back now, probably sealed my fate as well. The course was taught by Ivan Sanders, a respected translator of Hungarian literature, and was meant to introduce a generation of regional writers and filmmakers to students who had likely never heard of them before. Columbia University was located in a still-rough (at the time) corner of northern Manhattan (see map plot, below) and had been a tough adjustment for me, coming from a relatively small university in rural Ohio. I found the core courses on international relations to be dry and impractical. The classes on political philosophy and history were meatier and more interesting, but I wasn’t as prepared, probably, as I should have been, and it was always a struggle to keep up. Ironically, it was only in Professor Sanders’s smallish colloquium – while casually chewing the fat with a dozen or so other students about cultures we scarcely knew the first thing about -- where I finally started to feel at home. 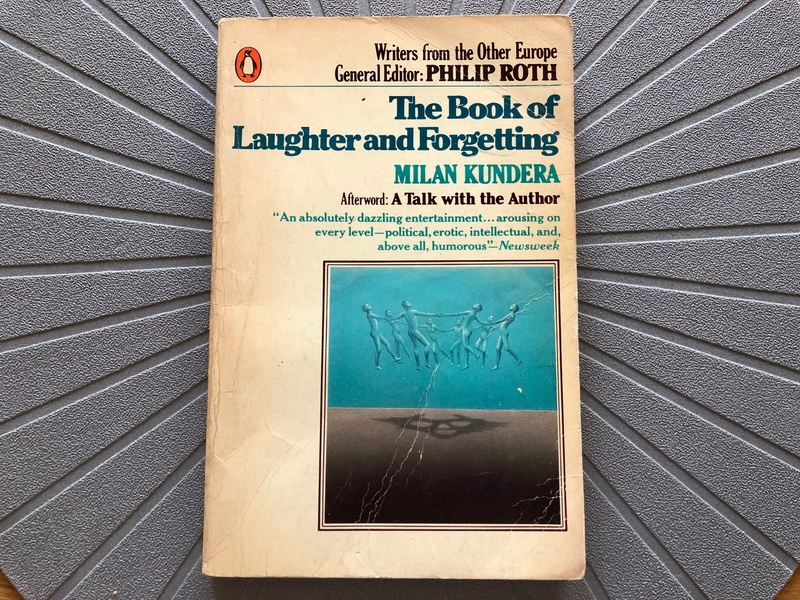 Milan Kundera's breakthrough novel is a story of a "joke" gone awry, the humorlessness of ideologues, and the betrayal of love at the hands of an idea ran amok. The book seems to pre-date and predict our own morass of political correctness. Photo by Mark Baker. Polish poet and Nobel Prize winner Czesław Miłosz is another name that's slowly falling out of the public consciousness. Miłosz lived long stretches in exile in the United States. 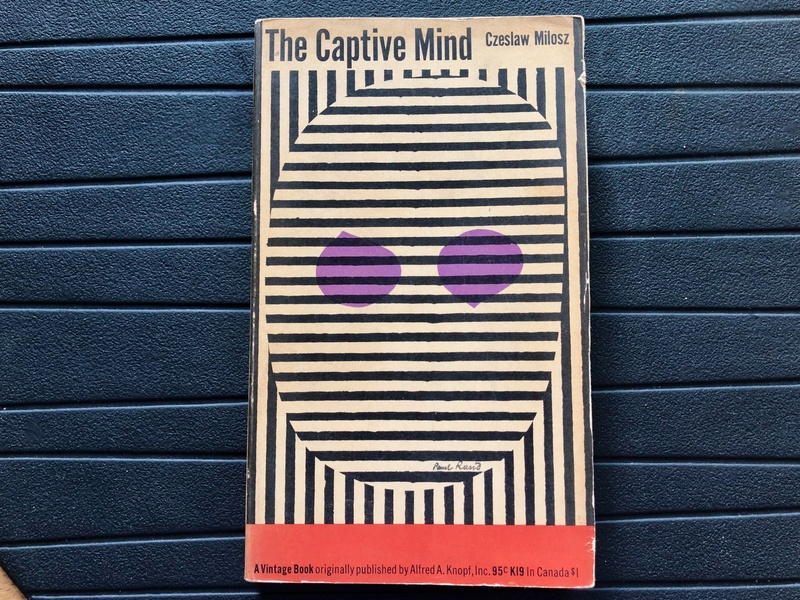 In "The Captive Mind" he described the contorted thinking intellectuals put themselves through to understand and rationalize communism in the early years. Photo by Mark Baker. 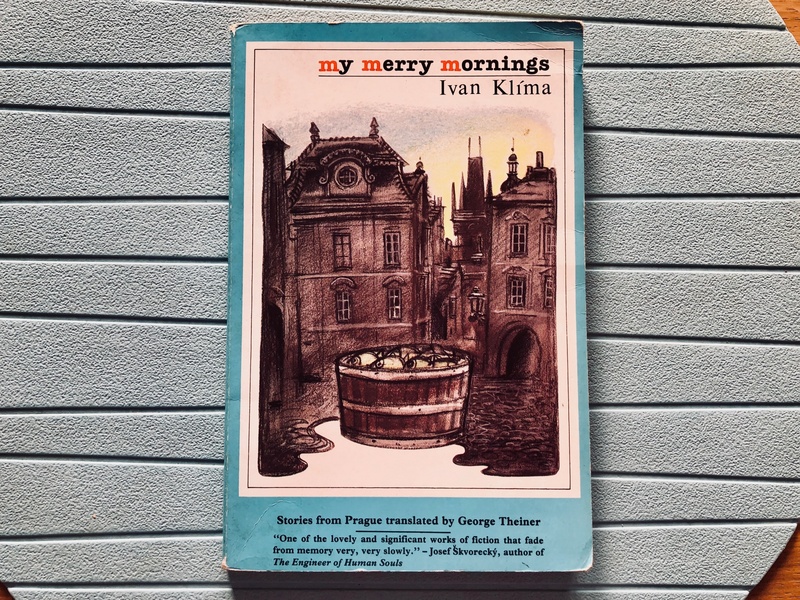 When people ask me to suggest an easy read of ordinary life under Communism, I always go to one of Czech author Ivan Klima's beautiful collections, like "My Merry Mornings," of short stories. Photo by Mark Baker. One of the all-time great movies to emerge from the Eastern bloc was Forman's "Loves of a Blonde." It's a bittersweet story of young women working in a textile factory and of that crazy night when the Soviet soldiers arrived for the dance. Photo by Mark Baker. I can still picture the class pretty well in my mind’s eye. As I remember, we met once a week in the evening in a room that was bigger than what we needed (probably because the class required a space with a film projector). Sanders played the part of a European dissident in New York flawlessly. I remember his stringy hair, dapper, elbow-patched blazer, and vaguely hard-to-place European accent. He conveyed his obvious love for the subject matter through a big, infectious smile. Most importantly, he had impeccable taste when it came to choosing books and films. To refresh my memory for this post, I’ve pulled out our old syllabus and have it in front of me now on my kitchen table. 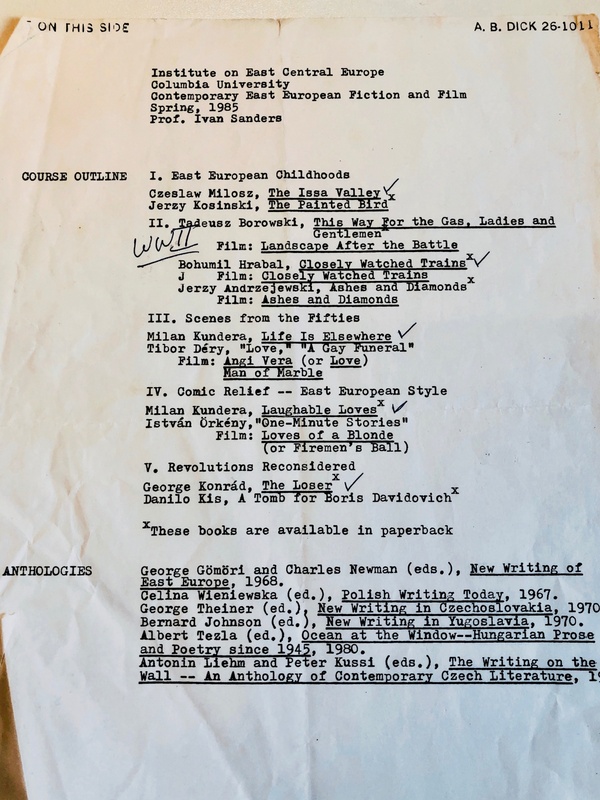 Anyone wanting a grounding in pre-1989 Central European literature and film could do worse than simply combing through his recommendations and checking off the titles one-by-one (I’ve posted scans of the syllabus here; double-click on the image to bring up a readable version). Reading the outline, I see where Sanders cleverly divided the four decades that the course would span (from the end of World War II through the mid-1980s) into five broad historical themes. This allowed him to group together works from all of the different countries and cultures and still have something consequential to say about each. People from outside of Central & Eastern Europe often don’t realize how different Poles, Czechs, Hungarians, Romanians and the others really are from each other -- and how challenging it can be to make meaningful generalizations. For books, Sanders drew liberally from Penguin USA’s groundbreaking paperback series at the time: “Writers from the Other Europe.” Edited by the late American author Philip Roth, the series linked writers as diverse as Czechs Milan Kundera, Ludvík Vaculík and Bohumil Hrabal, Poles Jerzy Andrzejewski, Tadeusz Konwicki, Witold Gombrowicz and Tadeusz Borowski, Hungarian György (George) Konrád, Serbian Danilo Kiš, and several others. 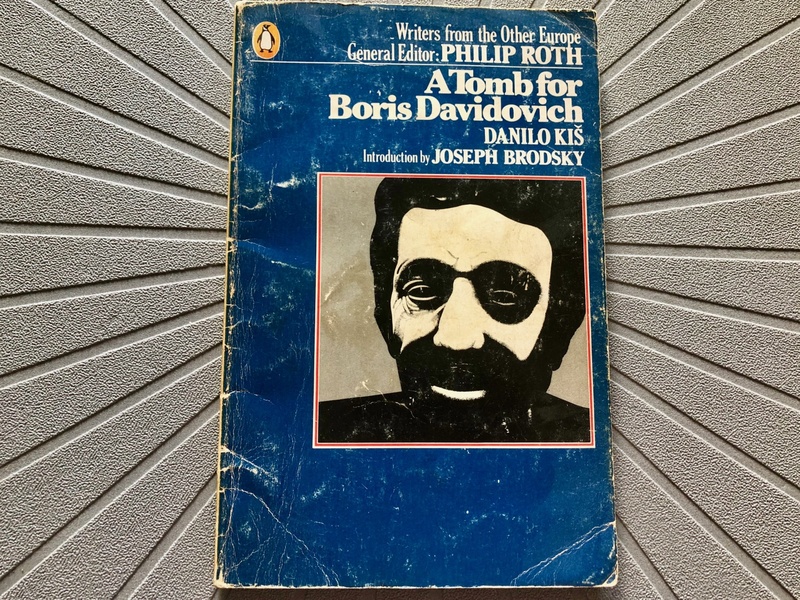 The titles included introductions by the likes of John Updike and Joseph Brodsky, lending them a kind of literary urgency and highbrow, contemporary sheen. I devoured the books at the time, and still have several well-worn (but alas not very recently) copies on my bookshelf. 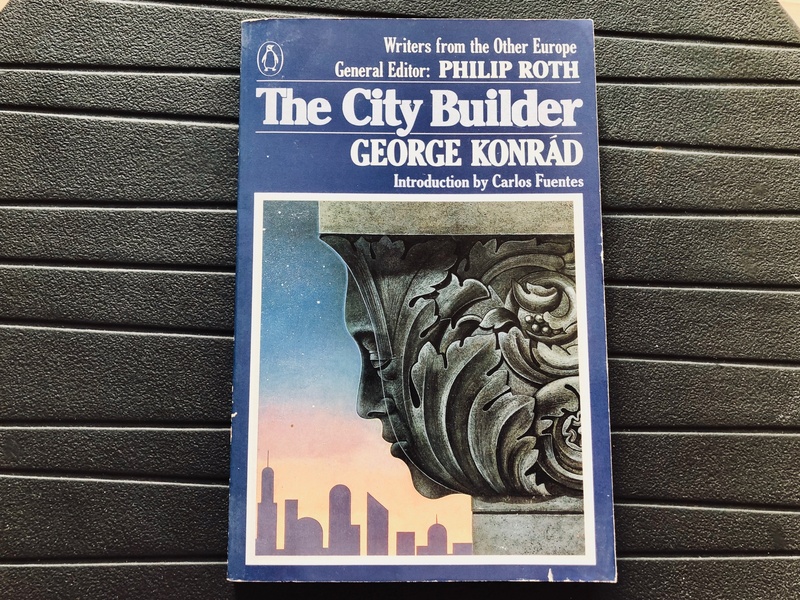 Among other things, the series helped to forge in my mind an intellectual link between Central Europe and New York -- part fact and part fiction -- that still guides my interests and helps me to make sense of some of my life choices. The "Yugoslav" writer Danilo Kiš hails from Subotica, near the borders of Hungary and Romania, and his characters and stories of a now vanished world remind me very much of Claudio Magris's "Danube." Photo by Mark Baker. 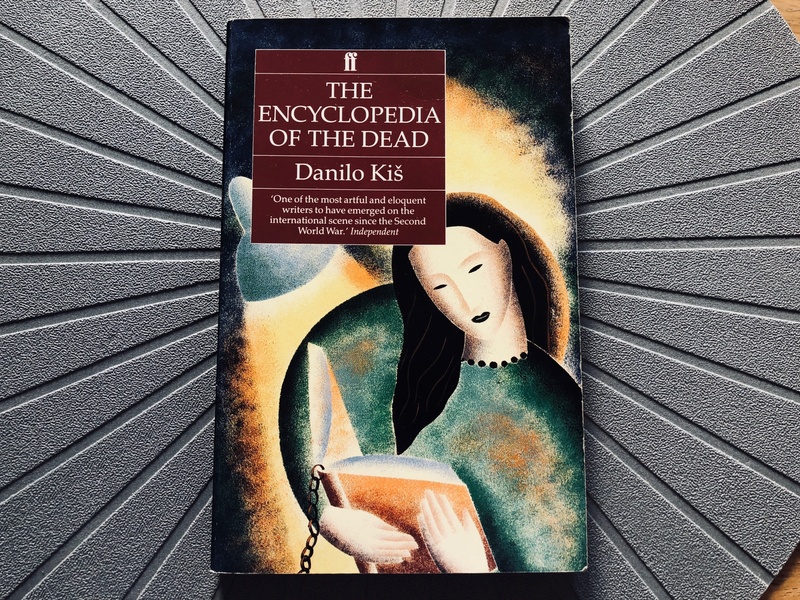 This is my personal favorite collection of Danilo Kiš's short stories. Kiš draws on the characters of small-town Jewish life to tell stories of the initial promise and ultimate fraud of official ideology. The story, "The Mechanical Lions" is a classic. Photo by Mark Baker. Hungarian director Károly Makk's 1971 classic tells the story of a young dissident who's been shot by the secret police and the lies that his mother must be told so as not to learn the truth. Modern audiences would find it overly melodramatic -- at the time it was highly risky. Photo by Mark Baker. 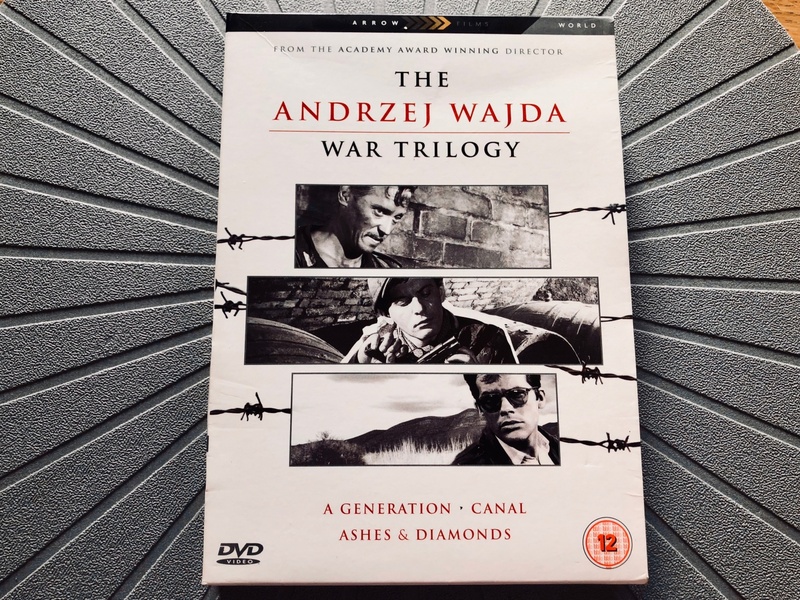 This trilogy of Andrzej Wajda films on World War II and the war's aftermath includes the 1958 classic "Ashes and Diamonds." Polish star Zbigniew Cybulski's movie death on the ash heap of Poland at the end of the war eerily echoed his own untimely demise in 1967. Photo by Mark Baker. It's difficult to pin down what was so interesting about those books and films back then (so many years later and after having spent so much time living in Central Europe). I could write things like the books and movies felt relevant and necessary in ways that American and Western culture, generally, did not. Writers and filmmakers in Eastern Europe worked under constraints -- and had to stake out contorted intellectual positions -- that were unknown or at least unnecessary in the United States. The Cold War made everything seem so ridiculously important that reading the books and watching the movies made you feel almost like a player yourself. I could write those things and they’d be true, but they’re also fairly self-evident and not very personal. Instead, I’ll go through the syllabus and pull out a couple of writers and movies that made the strongest impressions. (I’ve used the photos here to do the same for some of the works I haven’t gotten to in the text). The Sanders class was my first exposure to the writings of Milan Kundera. We read “Laughable Loves,” “Life is Elsewhere” and, still my favorite, “The Book of Laughter & Forgetting.” It’s hard to imagine now (especially since I live in the Czech Republic, where Kundera is not particularly admired or highly valued) what a breath of fresh air he seemed to be back then. His writing cut effortlessly between humor, love, politics and philosophy … and told entertaining stories in the process. It’s maybe worth pointing out that Kundera was also the most controversial author we discussed in Sanders’s class. I can still remember the heated debates we had over whether his stories were irreparably misogynistic. I’ve always thought that debate misses the point, but I’ll leave that discussion for another day. The class was also my first brush with the controversial Polish Holocaust writer Tadeusz Borowski. 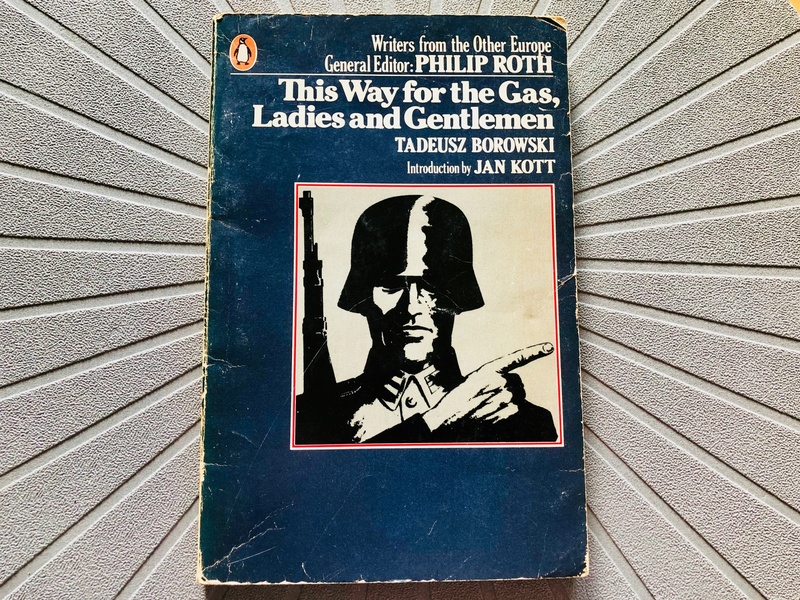 His “This Way for the Gas, Ladies & Gentlemen” is a shocking insider’s look at daily life at the Auschwitz-Birkenau concentration camp, where Borowski was a political prisoner and kapo, used by the Nazis to collect and sort the belongings of new arrivals. In Borowski’s telling, the shock for the reader comes not so much from the murders and gassing, but more from the dreary banality of day-to-day life at the camp that he coldly describes. I try to re-read it once a year, and always bring it with me on trips to Auschwitz. Borowski committed suicide by gassing himself to death in 1951. The class also introduced me to two films, both Czech, that remain favorites to this day: Miloš Forman’s “Loves of a Blonde” (Lásky jedné plavovlásky) from 1965 and Jiří Menzel’s “Closely Watched Trains” (Ostře sledované vlaky) from a year later. Both are bittersweet comedies from the Czech “New Wave” of the mid-1960s when a political thaw briefly allowed the country’s best directors to poke the eye of the ruling regime through using pathos and humor. Both films hold up to this day. To catch some of the flavor of the Forman film, check out this YouTube video of the opening credits. Czech director Vít Olmer's exposé of sleaze and crime in late-'80s Prague -- the title is play on "Bonnie and Clyde" -- was a sensation on release, coming just ahead of the Velvet Revolution. Just don't try to teach it to a group of undergrads! Photo by Mark Baker. Bruno Schulz was a gifted writer and illustrator who lived deep in the Jewish Poland of the interwar years and died in 1942 after being shot by the Gestapo. 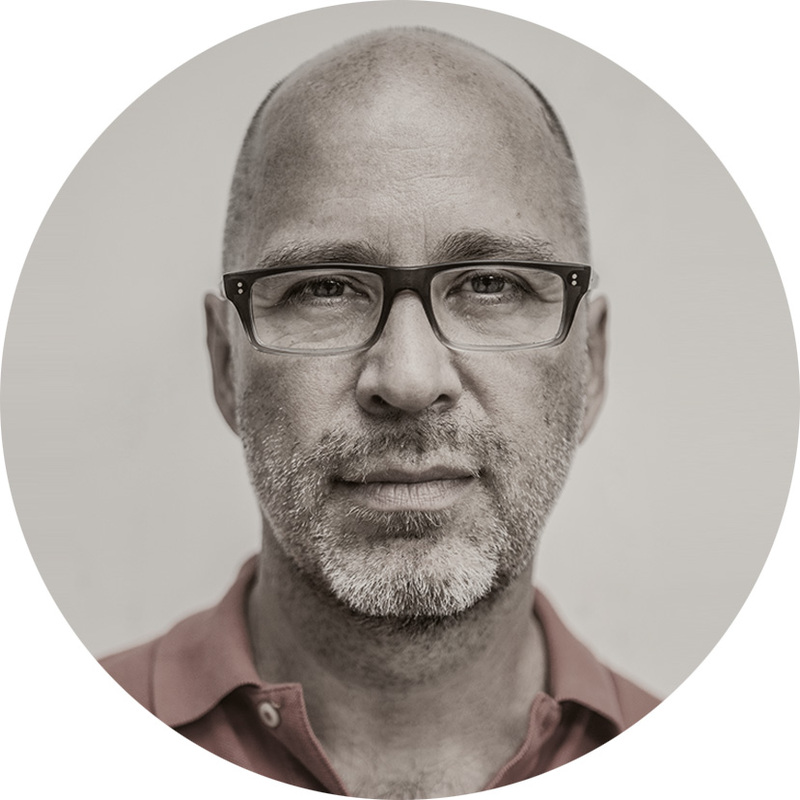 His writing is elliptical and impressionistic, a little like Kafka's, but evocative of life in a place and culture that no longer exist. Photo by Mark Baker. A dense read and a book, honestly, I don't remember much about. I see that Professor Sanders himself is the translator. The subject -- architecture -- interests me more today than it did as a student, so I will give this another go. Photo by Mark Baker. 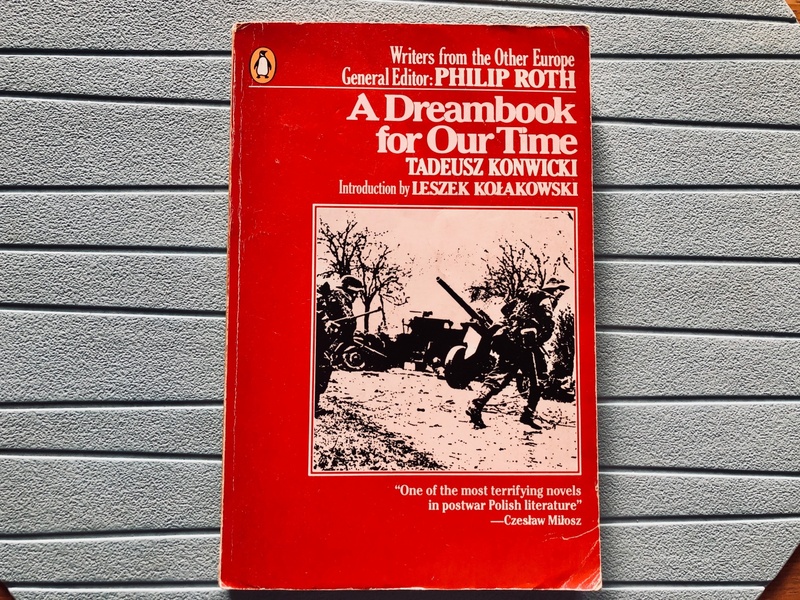 A fever dream of a tale, as Konwicki attempts to make sense of the Nazi occupation of Poland during WWII and the country's subsequent painful liberation by the Soviet Union. Photo by Mark Baker. I finished my degree in 1986 and promptly found work at a small business publication in Vienna, where I could put that hard-earned (and rather expensive) Cold War political and economic knowledge to work. The irony, though, came just a few years later, in 1989, with the fall of communism. Almost everything I’d studied at Columbia had suddenly become obsolete -- everything, perhaps, except for that elective course on Contemporary East European Fiction and Film. Unlike those dry classes on international relations and the ins and outs of centrally planned economies, that once-a-week survey on literature and film afforded cultural and historical insights that remain relevant even now as I go about my daily life in Prague – or travel throughout the region on various writing assignments. It’s a valid criticism to say that many of the films and books on our syllabus back then no longer accurately describe the region I now live in, and the reputations of some of the directors and authors – including Kundera himself – have declined somewhat over the years. But it’s also true that the realities those works described are somehow baked into the DNA around these parts. I’ve seen firsthand that cultures tend to change a lot more slowly than do political or economic systems. A few years ago, I tried to repay the favor that Sanders’s course had given me by teaching a variation of that same course to a new generation of students. Prague’s Anglo-American University contacted me about teaching a class on Central European history and left it to me to come up with an approach. I suggested literature and film, and used the Columbia course as a model for my own syllabus. 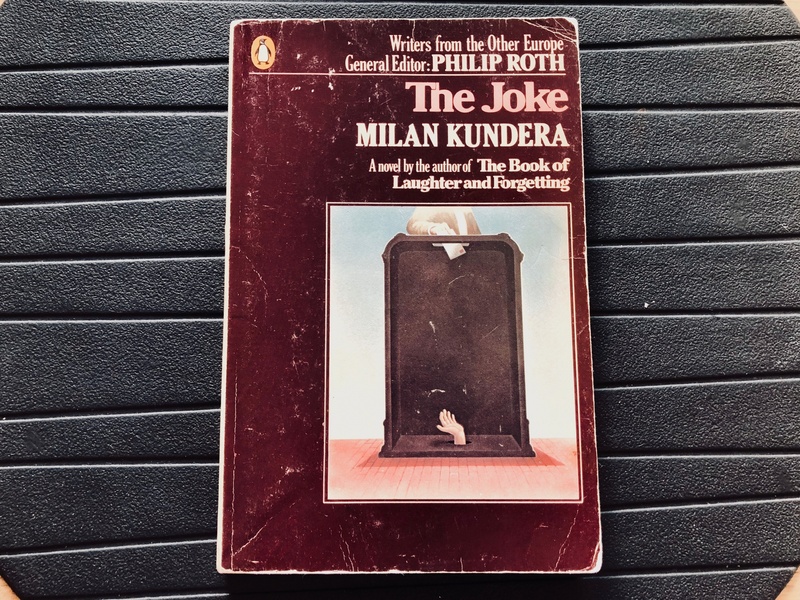 I pulled out a couple of the Polish authors whom I didn’t feel had aged particularly well, and substituted Kundera’s “The Joke” for the Kundera titles, but otherwise didn’t make too many changes. 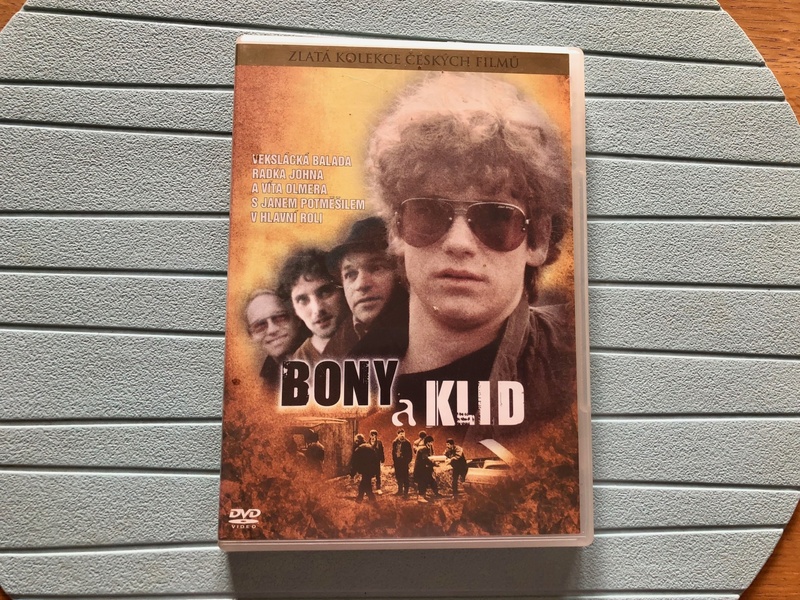 For the films, I added Romanian director Cristi Mungiu’s disturbing “4 Months, 3 Weeks and 2 Days” and one of my own favorite movies from the end of the 1980s, the Czech film “Bony a Klid,” to show students how sleazy Prague had become by the end of the communist period. In general, I was impressed by how well a group of young undergrads – including many American students – responded to the books and movies. Our discussion of the “The Joke,” for example, seemed to be far more incisive than anything we had ever done at Columbia in the 1980s. The only -- let’s say -- uncomfortable moment (for me, at least, as the instructor) came midway through the screening of “Bony a Klid,” when the main characters suddenly stripped off their clothing and began what felt like 45 excruciating minutes of explicit love-making. I had totally forgotten about that scene. Say what you will about life under communism – particularly by the late-1980s – but prudish it wasn’t. Great post, Mark. Are those photographs of your books and DVDs? I too have many of the books you cite but alas not in those funky editions! Great post that brings back a lot of memories for me too, although central European lit was sort of a side street for my primary education in Russian lit. But I took a similar course (without the films) at Grinnell College, and I agree with your observation that it is among the most continually relevant parts of my educational experience to this day. For others interested in this topic, I think it is also worth mentioning the great Slovak (Czechoslovak) film The Shop On Main Street. Stylistically, it is a bit dated, but thematically, it could not be more important. I often wish someone would do a remake. I really enjoyed reading this. I started studying Czech in 1997, went to Prague for the first time in 1998 and studied Czech lit & culture at Charles University and the University of Toronto. I intended to pursue more post-graduate studies on East-Central Europe but drifted away from the field about 10 years ago, though the books I studied then (and continue to read) still definitely impact the way I see the world. This post brought back a lot of that initial fascination that first drew me to the region. I’m definitely going to be exploring some of those films & books from the syllabus. Thanks for sharing it!